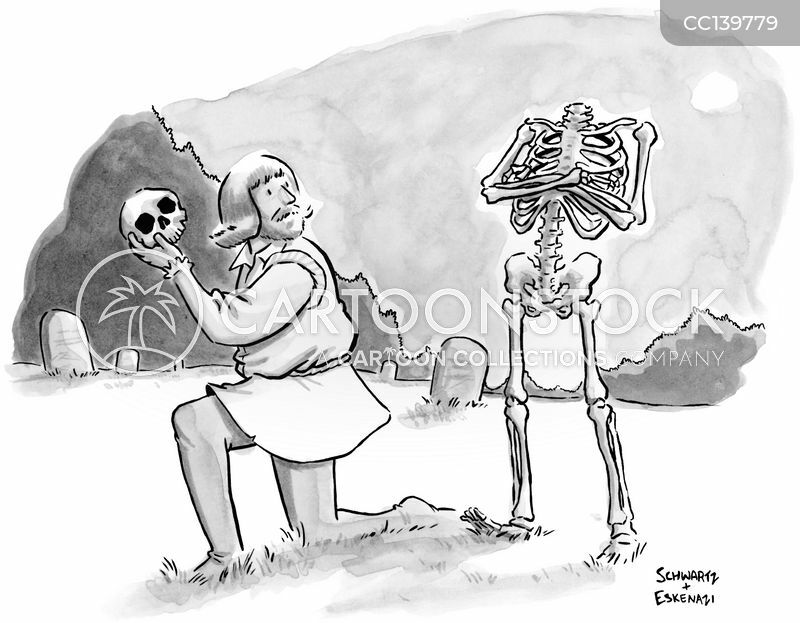 Hamlet sees Yorick's skeleton behind him. 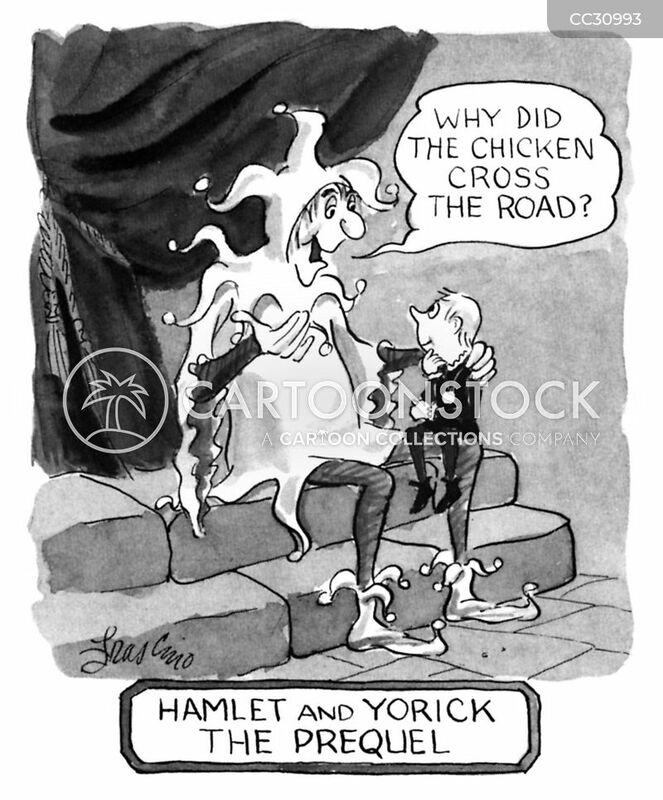 "Alas, poor Yorick! 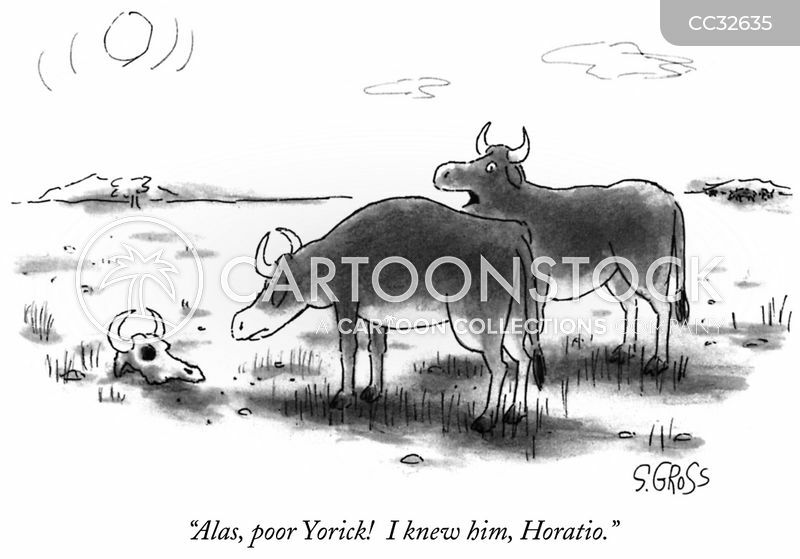 I knew him, Horatio." 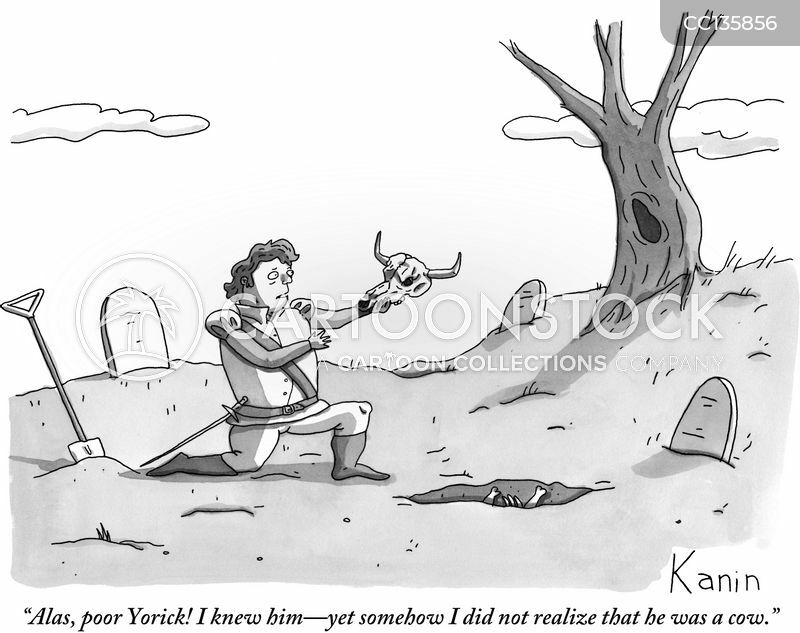 "Alas, poor Yorick! I knew him-yet somehow I did not realize that he was a cow." 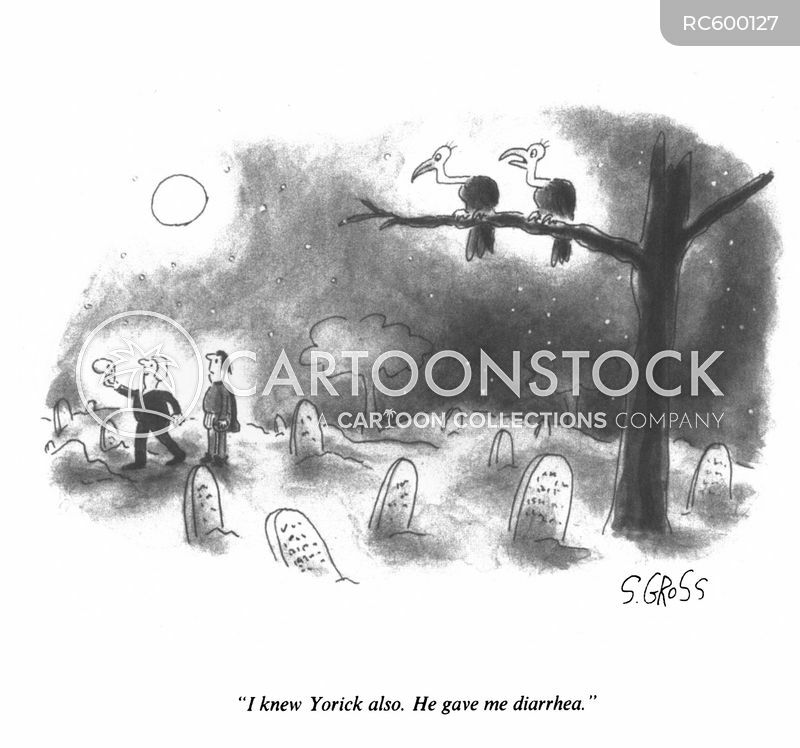 "I knew Yorick also. He gave me diarrhea."